Robert noticed some extensive fluid loss in his nose gear and refilling just did not solve the problem. A tear down was needed to find the cause and change the seals eventually. 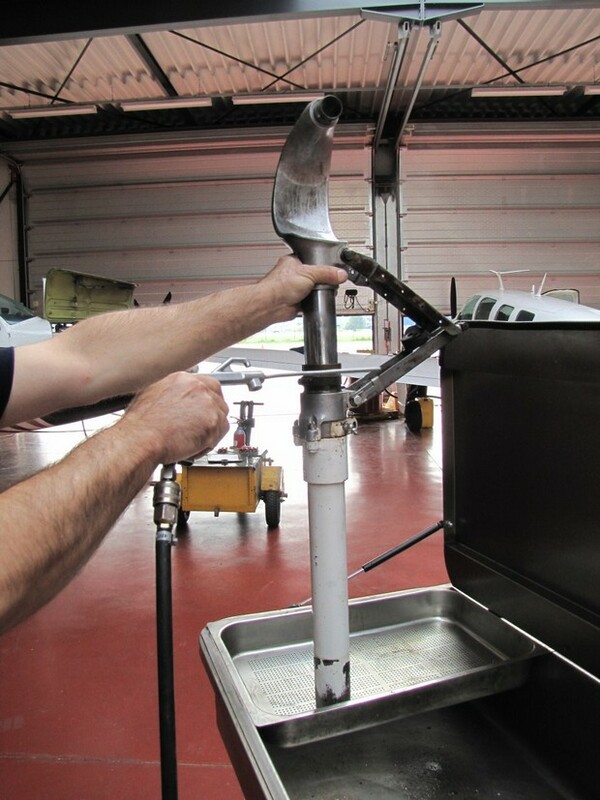 Note, this instruction is for the steel nose gear strut as found in most Ercoupes. 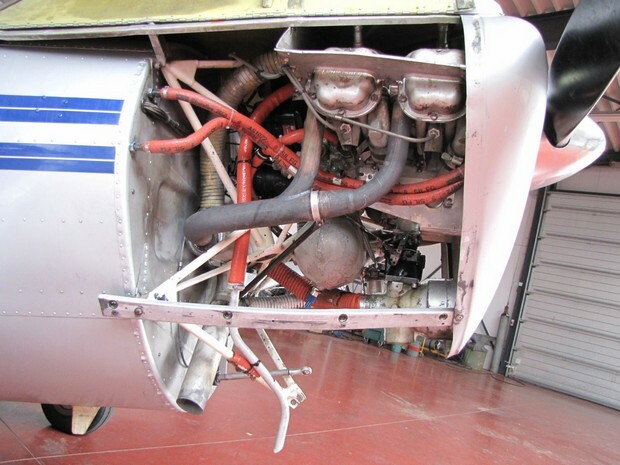 First remove the cowling and dismantle the gear. 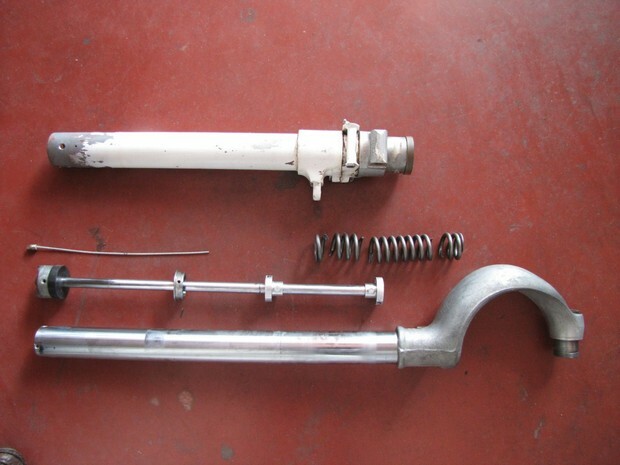 It is fairly simple after loosening the steering rod, since the nose gear is held in place with just two bolts. After the gear is out, clean all parts. Remove the screws for the upper strut cap and the lower bushing. The strut now can be pulled apart. 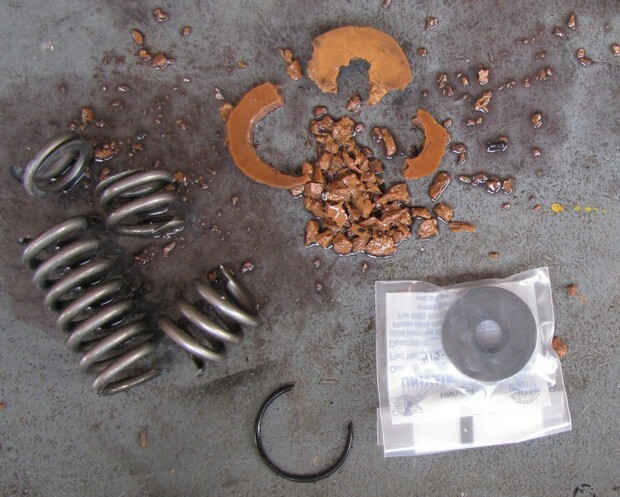 The inner spring is the last piece that literally falls out of the lower cylinder. In Robert's example it was broken into four pieces. 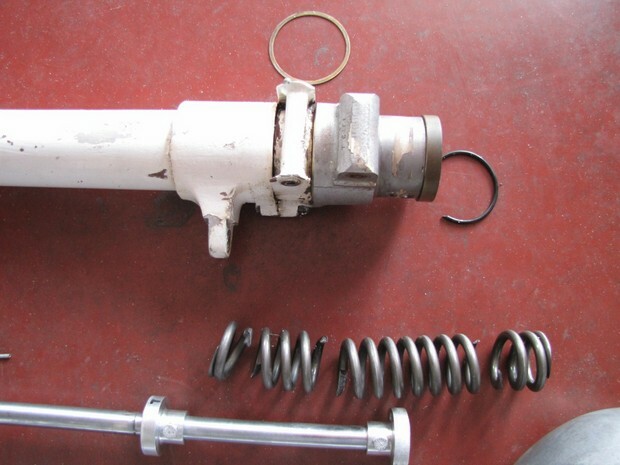 Here the strut again, showing the broken spring more close. Note: This Ercoupe had been flown for years with a snubber cable attached, thus removing the designed dampening action of the nose gear. Look at the picture above. 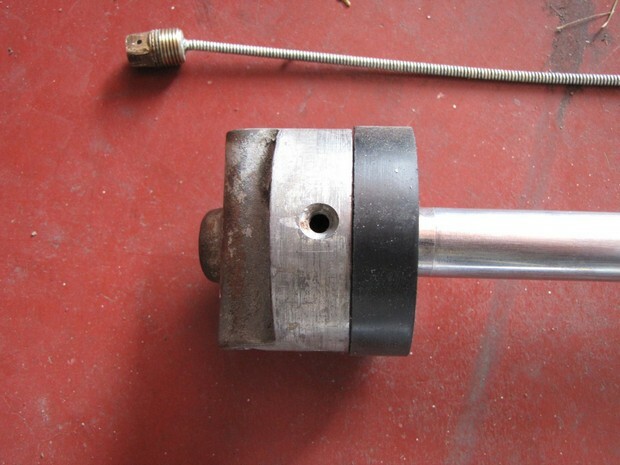 It shows the piston that provides the dampening action inside of your strut. 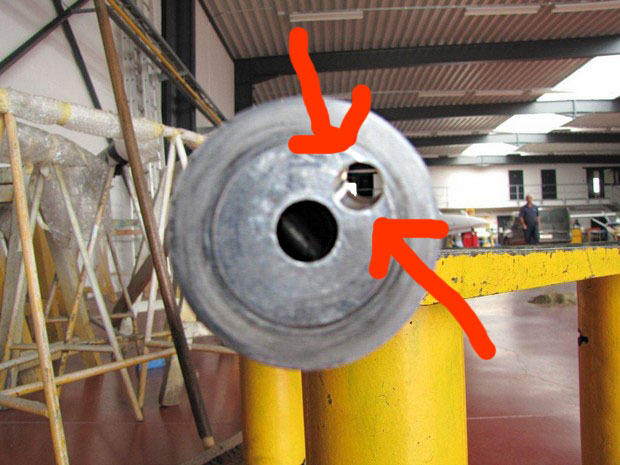 The right hole in the top (see arrows) is where the oil in the strut hits on landing and the flow through it provides the dampening. 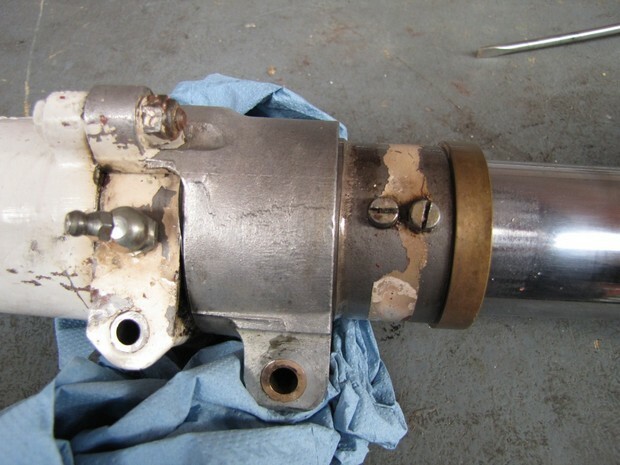 If you shorten the path of that piston through the oil with a cable, you will have less or no dampening action. Then the only parts in the strut that will that will dampen the impact of landing are the taxi spring and the rubber end stop on top of the strut. The taxi spring is designed for what it is named for - taxiing, not landing. If you keep smashing on this spring it will eventually break. 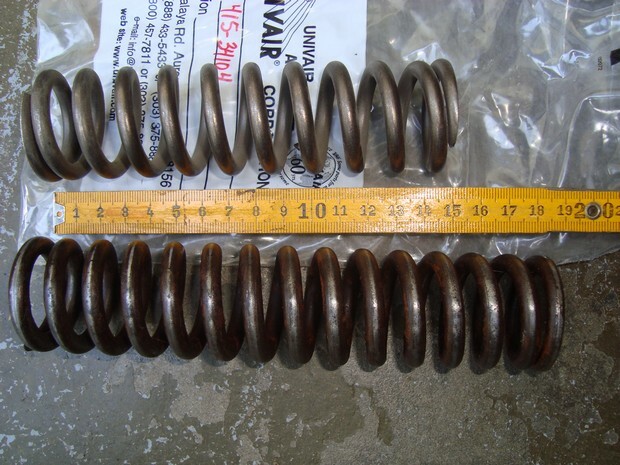 Note that when replacing the spring you can cure a tail low condition for good by replacing the old spring with a shorter spring (415-34104), which is designed to compensate for a longer nose wheel support that uses 5.00-5 or 6.00-5 tires. Earlier style nose wheels with the 5.00 - 4 tires should use the longer spring, otherwise the nose will be too low. Reassemble with new seals and rubber bumper and you are done.